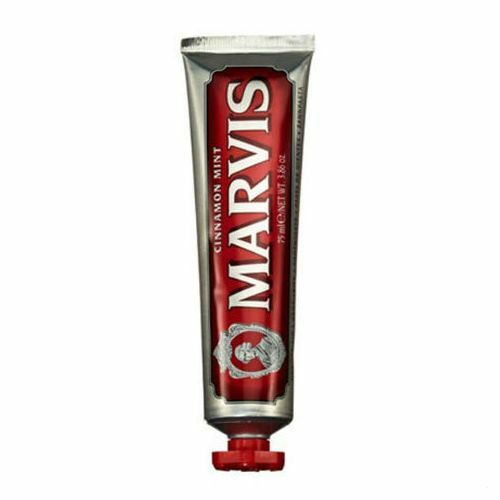 Designed in collaboration with Amarelli - a world-renowned producer of liquorice - the Marvis Amarelli Liquorice Toothpaste works hard to fight plaque. With its bitter-sweet flavours, this creamy toothpaste tingles against the gums during use while breaking down plaque and tartar. Blending the simmer of liquorice with the freshness of mint, it fits easily into your morning routine as an alternative to your current brand and leaves behind a sparkling, white shine to be proud of. 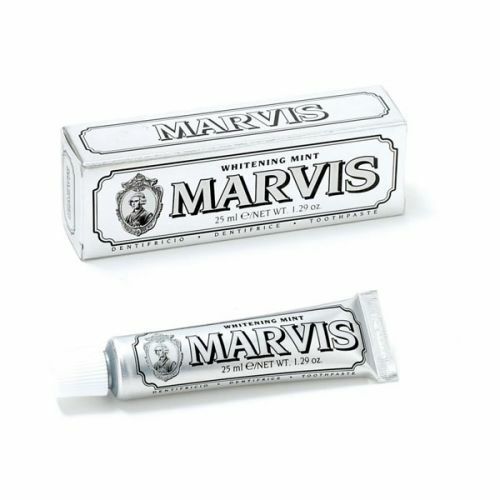 A great choice for both avid liquorice lovers, as well as those simply looking for something different, this toothpaste merges years of experience in both the dental and confectionary trade to add a touch of sweetness into your everyday life. Free Worldwide shipping from the UK available. 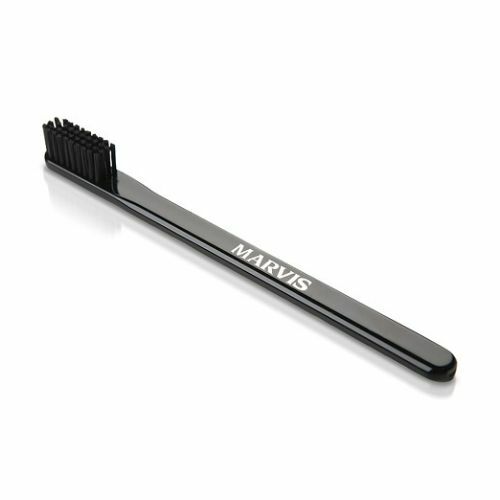 Use Marvis Liquorice Mint Toothpaste in replacement of your usual toothpaste. Used Marvis for sometime, this is my personal favourite. Very fresh and tingles, leaves mouth feeling clean and very refreshed. Packaging retro cool!! !